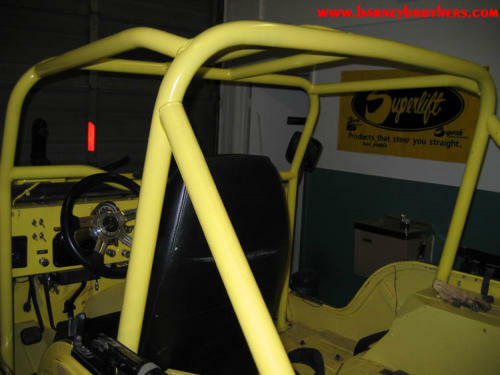 Exterior: Custom front bumper, Front KC Lights, Chrome Hood Kit, Stainless Mirrors, Tomken Steering box Brace, Olympic Side Protectors, Rock Lights, Tomken Rear Bumper with Tire Mount and Jamboree Rack with Shovel Mount. 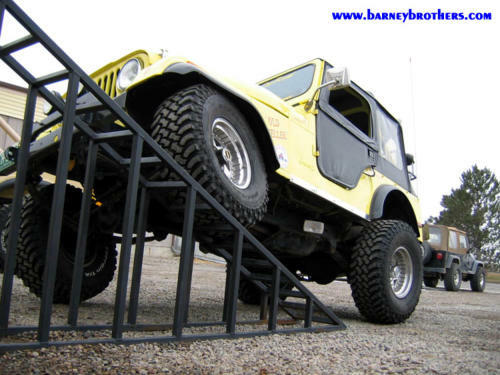 33 X 12.50 R 15 BFG Mud Terrain TA's , Centerline HellCats. 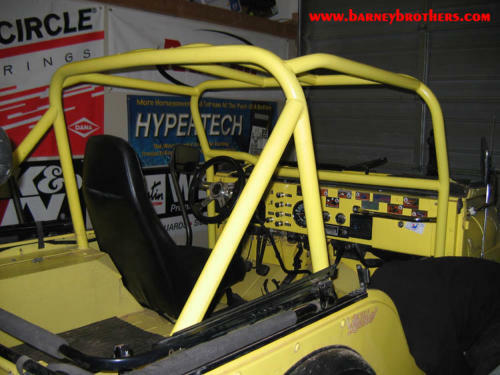 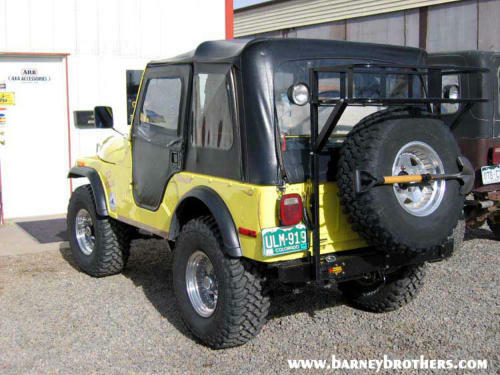 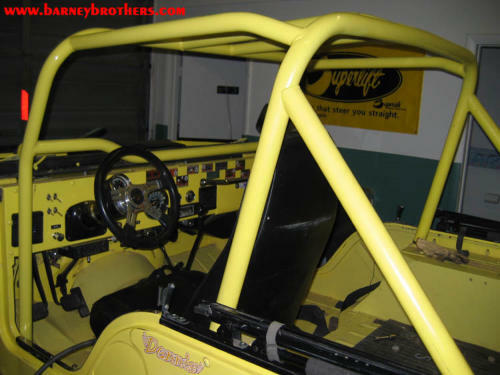 Interior: Barneybilt Interior custom full Roll Cage.